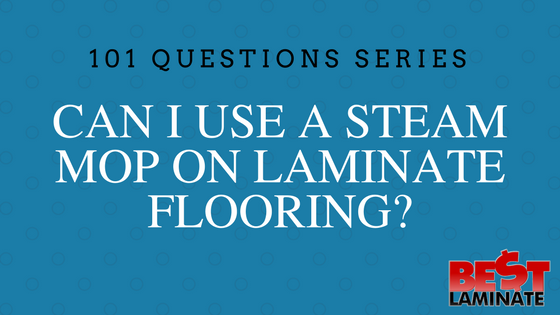 Home >> 101 Questions Series >> 101 Laminate Flooring >> Can I Use A Steam Mop On Laminate Flooring? We all want to deep clean our floors. It is one of the dirtiest areas in our home! Mud and dirt gets tracked in from shoes and pets, spills and messes can be left unseen and stick, food can get dropped from tables, and so much more. So you may be wondering if you can use a steam mop on your laminate flooring to remove all of the grime that can build up. The Short Answer is – NO! We do not recommend using a steam mop on laminate flooring because of the moisture being released. The moisture being released from the steam mop can ruin your laminate. 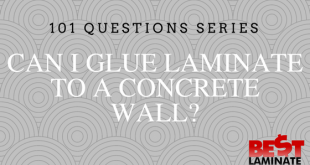 When laminate is exposed to moisture it can swell and eventually start to buckle your laminate. We recommend using a damp cloth and a laminate flooring cleaner to clean your new floor. If you are to use a steam mop, keep the mop moving. Do not leave it to settle in one area. The pressure the moisture creates will enter in between the planks which will cause the laminate-ruining moisture damage underneath. Be sure to dry the area thoroughly afterwards as well, so there is no moisture remaining afterwards. Again, we really do no recommend this method of cleaning your laminate flooring because of how easily it can permanently ruin your laminate flooring. Learn more about cleaning and maintaining your laminate floors here. This seems to contradict one of your other questions/articles that pictures vinegar, water, bucket and mop and encourages “making your own solution”. Please explain. Hi Ann, I will take a look at the other article, but we only advise to use this solution with a micofiber towel or mop or a spray bottle for small areas. You should never use a mop that would allow water to sit on laminate floors. I will be sure to highlight this in the other article! Thanks for bringing it to our attention.